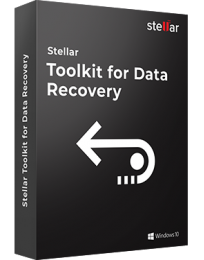 Stellar Data Recovery Premium is the most powerful data recovery software for Mac, with a simple DIY interface to recover data from corrupt/formatted hard drives and inaccessible volumes. The software also repairs corrupt photos and videos. The data recovery software gets back lost data from any macOS-based device and external storage media in the world. The all-purpose software is widely used due to its simple DIY interface, powerful performance, and broad set of features for data recovery, photo repair, and video repair. The software recovers documents, emails, photos, videos, and audio files, etc. from all macOS devices— iMac, MacBook Air, MacBook Pro, Mac Pro etc. It also recovers data from hard drives, fusion drives, SSDs, SD cards, USB flash drives, and more. The Mac data recovery tool supports recovery from APFS file system apart from HFS+, HFS, NTFS, FAT, and exFAT formatted drives. The software offers powerful Video Repair and Photo Repair features as add-on to its core data recovery capabilities. Sometimes, it may happen that the recovered videos and photos are no longer usable due to corruption. For such situations, you can use the same software to also repair the corrupt videos and photos. Lost your data due to hard disk corruption, virus/Trojan attacks, damaged registry, or formatted drive? Use the advanced Deep Scan utility to look across each sector on a drive to locate every bit of your recoverable data. Deep Scan also recovers data from RAW or inaccessible volumes/partitions by using the file signature. Often a storage drive or partition/volume is not recognized as a ‘Connected Drive’ due to corruption or accidental deletion. The software recovers crucial data from such missing or deleted partitions and drive volumes in just 3 simple steps— scan for all the deleted partitions, select the desired partition, and recover the data. Locates every partition or volume that was created, ever.